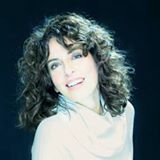 CRISTIANA PEGORARO is an Italian pianist and composer. Called “an artist of the highest caliber” by the New York Times, she has performed at Lincoln Center, Carnegie Hall, the Sydney Opera House and other international venues and has recorded many CDs. She regularly conducts master classes across the United States (including at the Juilliard School), and in Italy, Portugal and the Middle East. She is the author of a series of children’s books based on Italian operas.